My oldest started first grade while my second daughter is at home with me being mommy’s helper. The other day, my oldest asked me for soup. 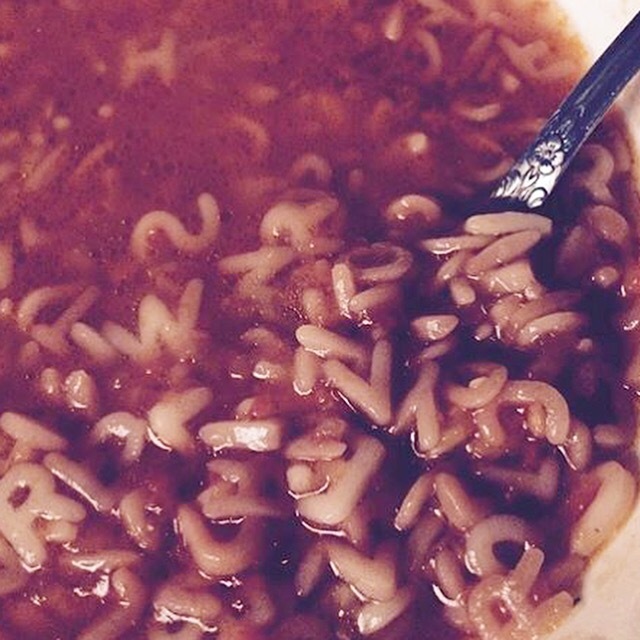 So I made her Alphabet soup; it has become her favorite. In a Dutch oven pot, over medium heat, toast 1 cup of Alphabet pasta in 2 tablespoons of olive oil for about 4-5 mins. *This adds another layer of flavor. Add the tomato purée and allow the pasta to soak in the purée for about 3 mins. Add 4 cups of chicken broth and simmer in low-medium heat for 20 minutes or until pasta is al dente. Extra: you could add cooked bite-size pieces of chicken breast and allow for it to simmer for the same time.